Try these seven hacks to stay warm in cold weather. Instead of relying on your winter coat to do all the warming work, learn to dress in strategic layers that you can add to or remove as needed. REI lays out the dependable layering strategy people use for outdoor cold-weather activities. Base layer: This layer’s purpose is to draw moisture away from your skin, so you don’t become chilled. Choose wicking fabrics, such as polyester or nylon. The fabrics can range from lightweight to heavyweight — with the heavier ones generally keeping you warmer. But as long as this layer is wicking and comfortable under the rest of your clothing, it’s serving its purpose. Middle layer: This is your insulation layer that helps you retain body heat. “In general, thicker (or puffier) equals warmer, though the efficiency of the insulating material is also important,” according to REI. Down insulation and its synthetic counterpart are common materials for this layer. And many people choose fleece — especially for active outdoor activities — for its warmth and breathability. Outer layer: This shell layer protects you from wind and precipitation. Most varieties have at least a little breathability to allow perspiration to escape, and the fabric is typically treated with a water repellent. “Generally, pricier equals drier,” REI says. That’s where your moisture-wicking base layer becomes critical. Avoid fabrics that stay wet, such as cotton. And if you do end up wearing some damp clothing — whether it be from sweat or precipitation — remove it as soon as possible. It’s a myth that you lose most of your body heat through your head. In fact, it usually accounts for about a fifth to a third of your total heat loss, according to Healthline. However, it’s still an important spot to protect in cold weather. 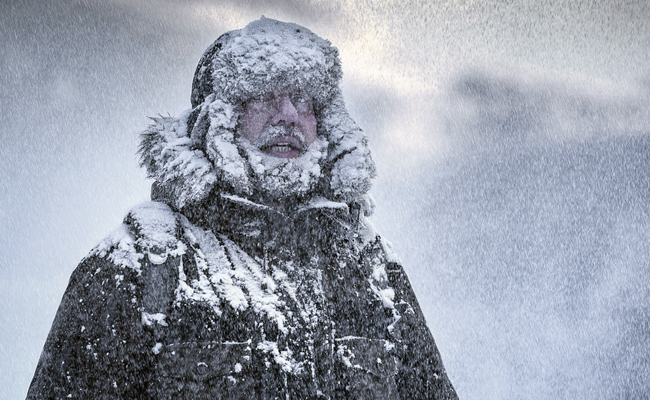 “Head heat loss changes with how cold it is,” Healthline says. “The lower the temperature, the higher percentage head heat loss.” So prevent that unnecessary heat loss simply by wearing a hat. Your body burns calories trying to stay warm in cold weather. So it’s important to stay well-fed when you’re out and about. Warm foods can help you feel, well, warmer. But you should steer clear of spicy foods, which can make you sweat (and subsequently become chilled from the moisture). Princeton University recommends eating carbohydrates for a quick heat surge and taking in proteins and fats for heat and energy over a longer period. Plus, though you might not feel as thirsty in cold weather, you still need to remind yourself to stay hydrated to maintain energy. Warm drinks can be a heat source for your body (especially for cold fingertips). Just avoid alcohol, as it’s a vasodilator that “increases peripheral heat loss,” according to Princeton. Besides physical methods to help your body stay warm in cold weather, there also are some mental tricks you can employ. Warming breathing tactics and meditation might help you feel less bothered by the cold. Or you could try reflecting on a warm, nostalgic memory. Movement generates heat. That’s why jumping up and down is a tried-and-true method for staying warm in cold weather. And poor circulation often causes people to feel colder, especially in their extremities. Some health conditions and medications can cause poor circulation and make it harder for people to deal with the cold. If that’s the case, discuss possible solutions with your doctor. Plus, make sure your clothing isn’t too tight, which also can restrict circulation. The American Heart Association reminds people to maintain their physical fitness throughout the colder months, which can improve circulation. 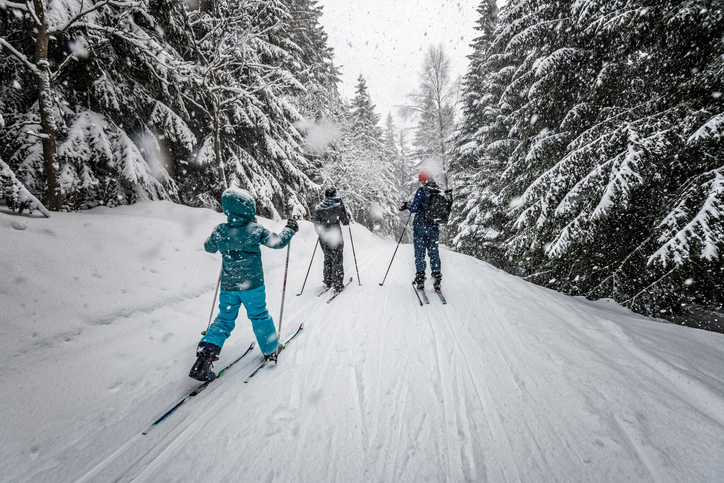 Try cold-weather activities, such as ice skating or skiing, to stay warm while you enjoy some outdoor time. And as a bonus, it will allow you to take in some vitamin D from the sun, which can improve your overall health. 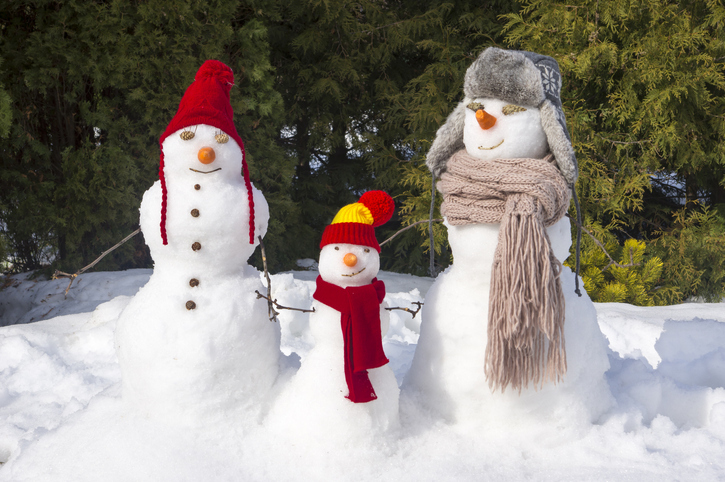 Being prepared for cold weather might be the best thing you can do to stay warm and safe. Know the conditions before you venture out, and plan accordingly with clothing, supplies, etc. Plus, it’s critical to understand the signs of frostbite and hypothermia. For frostbite, “early warning signs include numbness, loss of feeling or a stinging sensation,” according to Mayo Clinic. And signs of hypothermia — or a dangerously low body temperature — “include intense shivering, slurred speech, loss of coordination and fatigue.” Never try to tough out cold weather if you start feeling any of these symptoms. Get someplace warm immediately, and seek treatment if necessary.